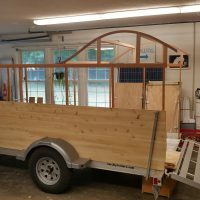 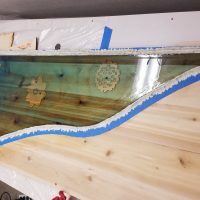 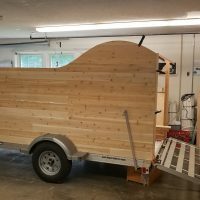 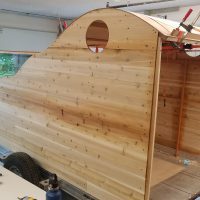 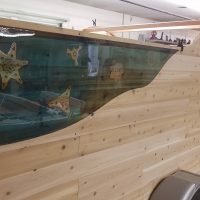 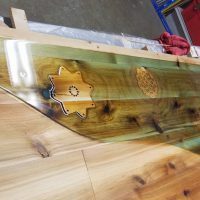 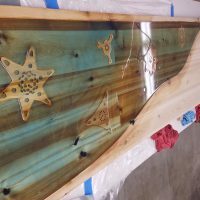 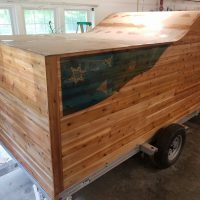 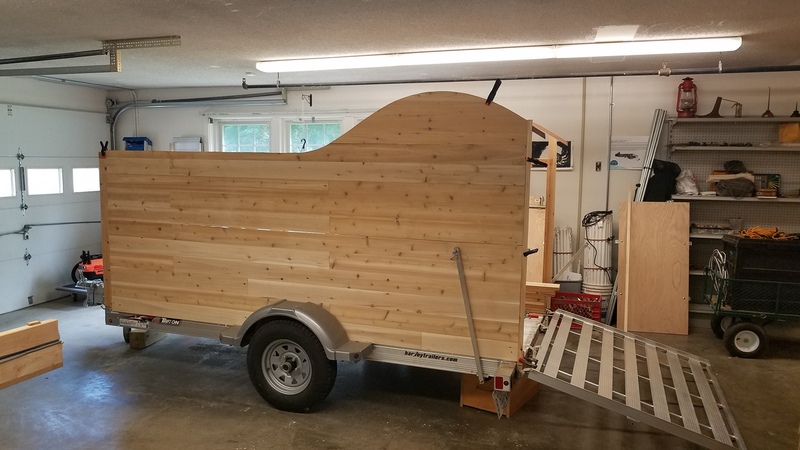 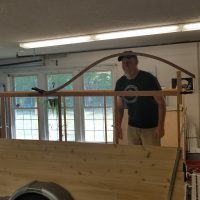 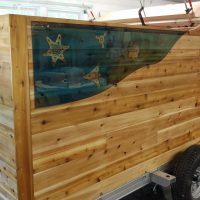 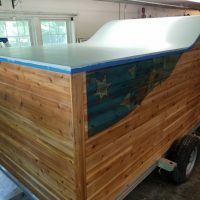 The Mobile Coaction Lab (MCL) is coming along nicely, thanks to the hard work of IMFA graduate student Reed Hayden and his wide range of wood craft and boat building experience. 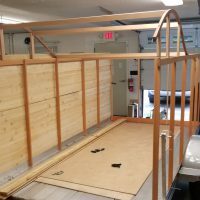 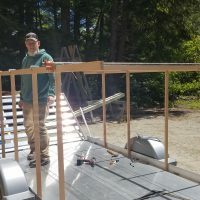 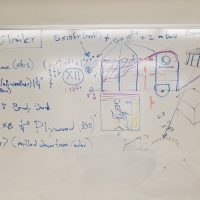 We’ve built the entire lab from native Maine fir and cedar, on top of an aluminum frame, to keep it light. 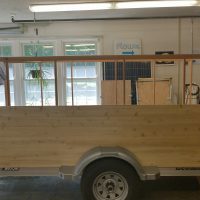 We’re getting ready to take the side panels into the IMRC for some custom CNC milling, so look out soon for the final project later this fall. 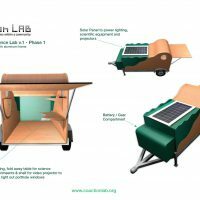 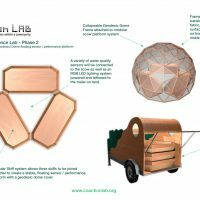 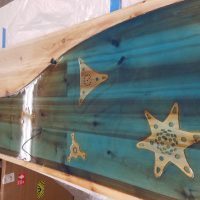 Once the project is finished it will have multiple purposes including being a mobile deployment system for Oceanic Scales and serving as a mobile water and air quality sensor / data visualization / projection mapping system.